A love of wine, a little bit of research, a good deal of naivety and a hell of a lot of hard work led to the establishment of Amherst Winery when Norman and Elizabeth Jones planted the 2ha “Dunn’s Paddock” Shiraz vineyard in 1989. This was followed by 1.5ha of Cabernet Sauvignon and .5ha of Chardonnay in 1998. 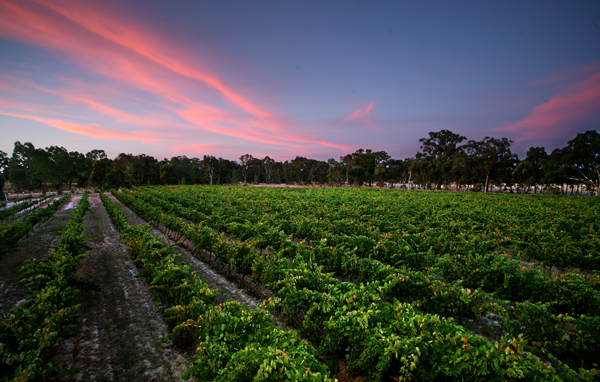 Amherst Winery is located 20km southeast of Avoca in Western Victoria’s beautiful Pyrenees Wine Region. The land at Amherst, an old gold field, had been farmed by Norms’ grandparents and great grandparents. When the opportunity arose to purchase some of this land in the 1970s he jumped at the chance of holding on to some of the family’s rural heritage.